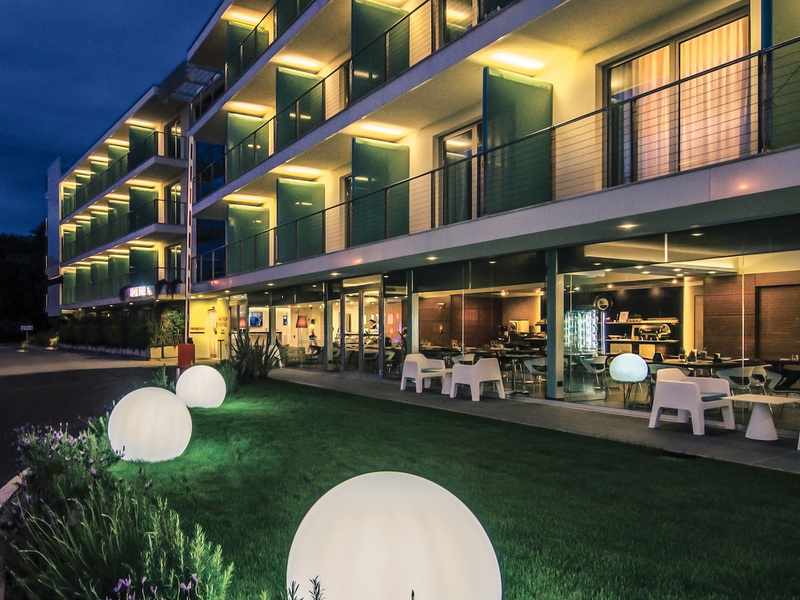 The Mercure Viareggio Hotel is located in the heart of Versilia, just a stone's throw from the renowned Viareggio promenade and the sandy beach in Lido di Camaiore. This modern 4-star hotel boasts sophisticated decor and 90 rooms with private balcony. The Gustò Restaurant offers typical Italian cuisine with particular focus on local specialties. Relaxation is guaranteed at the Gustò Cafe, complete with open-air terrace overlooking the lovely swimming pool. Large free outdoor car park available. The Gustò Restaurant, found at the heart of the hotel with adjacent open-air terrace, is the perfect setting for sampling typical local dishes and renowned Italian cuisine. Whether having a coffee with friends or relaxing with an aperitif, the Gustò Bar is the perfect place to enjoy pleasant, peaceful moments.